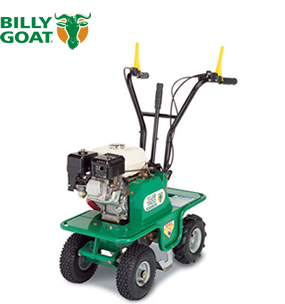 Billy Goat's self-propelled overseeders reduce fatigue and feature intuitive forward and reverse operator controls. 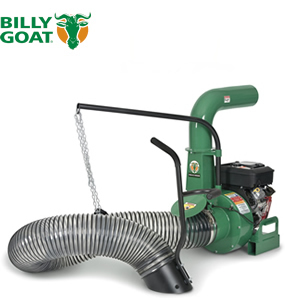 Put the power and reliability of a Billy Goat vacuum to work on your clean up projects and depend on its quality operation. 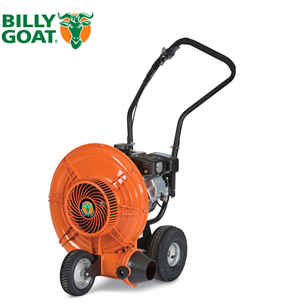 Billy Goat's Force blower range feature the next level of performance and productivity in wheeled push blowers. 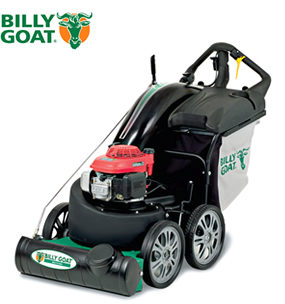 Billy Goat Brush Mowers will cut down any vegetation that can be pushed over. Reclaim your meadow the easy way. 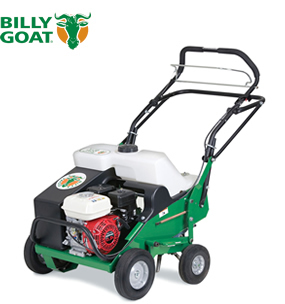 There's no Sod Cutter thats easier to use. Just set the depth, shift into gear, engage the blade, start the drive and you're off! 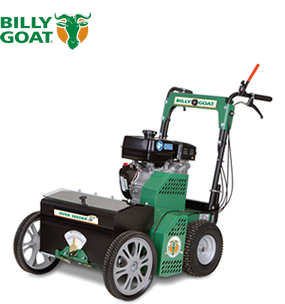 Featuring the industries softest tine engagement system and Billy Goat's exclusive Lift 'n' Lock disengagement system for best in class comfort. 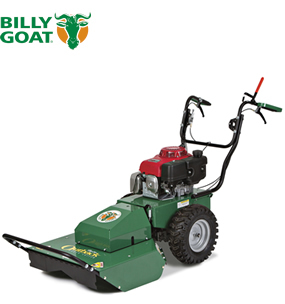 The new dual shredding system with Piranha blade in the Billy Goat Debris Loaders reduces bulk for greater compaction.